LB Finance PLC recorded strong performance over the three months ended 30 June (Q1) 2017/18, closing the quarter with a pre tax profit of Rs 1.7 billion due to strong performance experienced in key revenue generating operations. As a result, Total Comprehensive Income for the period was up by 4% year on year (YoY) with a figure of Rs. 957.2 million. Income for the quarter rose by 28% YoY to Rs. 5.5 billion of which Interest Income stood at Rs. 5.2 billion reflecting a 29% YoY improvement. The Net Interest Income for the period increased by 10% YoY to Rs. 2.6 billion. The company’s Fee and Commission Income expanded by 13% YoY to Rs. 299.8 million. As a result the company’s Total Operating Income for the period increasing by 11% YoY to Rs. 2.9 billion. Impairment charges during the quarter stood at Rs. 68.6 million which is significantly lower than the peers due to the stringent underwriting and credit risk management strategies adopted by the company. A concerted focus on efficiency enabled LB Finance to maintain its operating costs under control, leading to an operating profit of Rs. 1.7 billion, reflecting a 5% YoY increase. The value of the company’s total assets as at 30 June stood at Rs. 108.6 billion. Profit before Tax remained steady at Rs. 1.4 billion while Profit after Tax (PAT) grew by 3% YoY to Rs. 940 million. Earnings per Share stood at Rs. 6.79, as compared with Rs. 6.58 per share in the previous year corresponding period. LB Finance’s total Capital Adequacy Ratio as at the end of Q1 stood at 16.22%, as compared with a minimum regulatory requirement of 10%. Further, A- (lka) rating from Fitch Ratings Lanka Ltd. with a stable outlook denotes expectations of low default risk and strong capacity for payment of financial commitments. 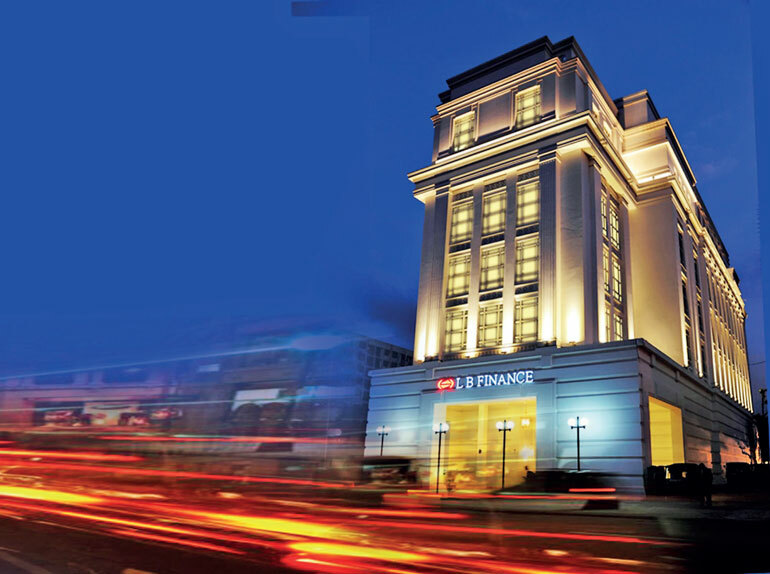 Established in 1971, LB Finance succeeded in building an unmatched reputation as one of Sri Lanka’s most trusted financial institutions as evident from the total deposit base of over Rs. 65 billion, one of the largest in the NBFI sector. Licensed by the Central Bank of Sri Lanka under the Finance Business Act No. 42 of 2011 and listed on the Main Board of the Colombo Stock Exchange, LB Finance offers a variety of financial services including acceptance of deposits (Fixed Deposit and Savings Accounts), Finance and Operating Leases, Hire Purchase, Gold Loans, Housing Loans, Business Loans, Micro Finance, Factoring, Margin Trading, Currency Exchange service and Western Union Money Transfer service through an island-wide network, offering unparalleled convenience to the customer.